Multi Level Marketing (MLM) is a popular concept and many of the online income generating platforms are based on this seemingly appealing concept to attract more and more members and also to boost sales. But is Multi Level Marketing a scam? This is the most important and frequently asked question which needs to be addressed properly. First of all, all of my followers interested in MLM need to know exactly how Multi Level Marketing works and what exactly is Multi Level Marketing. To determine the legitimacy of a MLM scheme, it is important to know the legal concerns in this regard. In most of the cases, the legitimacy of an MLM scheme depends on the system to which it has been attached. Sometimes, fake products and services are advertised through MLM-like structure, compensations, and commissions. In most of the cases, people prioritize the payment factor to determine the legitimacy. But there are various other things to know. As mentioned above, MLM is a compensation structure attached to an offer/system/product. I’ve already reviewed scores of MLM based platforms and it is safe to say that some platforms are legitimate but most of the offers contain malicious attributes. One of which was a company called MOBE. It portrayed itself as a legitimate Multi Level Marketing company but was recently shut down by the FTC as they deemed it nothing but a scam. The issue here is, is that even if an MLM program is legitimate, it doesn’t mean that it is suitable for everybody. The advertisements, promotional videos, and content on the websites smartly convince the readers/viewers that the system is suitable and profitable for everybody. The reality is often different though. 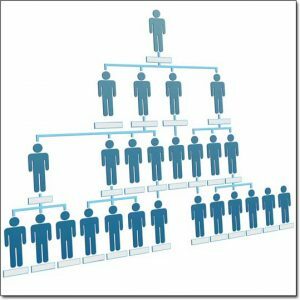 The Multi Level Marketing structure is based on compensation/commission distributed among various levels and the compensation amount paid out on each level is often determined by a ranking system. The ranking system determines the level of the members/distributors/recruiters which means that the rise of the distributor’s level reflects his/her commission amount also. Though the calculations and formulas vary. Each offer may have its own compensation plan and ranking system but the basic idea is same. Multi Level Marketing encourages new sales and this is done by motivating existing users to promote products & to bring in new users & get them to do the same. The users are often called recruiters. The main objective – as a recruiter – is to recruit as many people as you can. It will lift your ranking and populate your team. Leading a bigger team is important because you also get a certain percentage from the earnings of each member you’ve recruited. As your level and ranking rises, the percentage commission also rises. The basics may seem similar in the case of every MLM scheme but still, there are different factors which distinguish a legitimate MLM scheme from a scam. 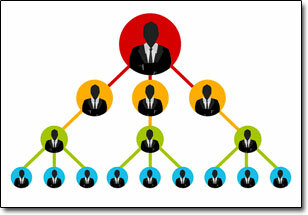 There is popular term – Pyramid Scheme – which is basically a slight variation of the MLM Scheme. According to the experts, a Pyramid Scheme falls under the category of a scam. Such schemes are based on MLM structure but the intentions are different from the apparently propagated purpose. When going through such online offers, you need to determine how the system is encouraging you. 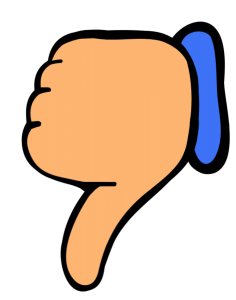 If it pushes and motivates you to bring in recruiters rather than focusing on sales of products/services, you must stay away. There is no visible line which distances a pyramid from an MLM scheme. You’ve to see how it promotes the system and to what extent does it focus on sales or recruitments. There are a number of legitimate MLM programs and I’ve reviewed some of these. These programs offer highly populated product lines featuring reliable brands. You’ll notice that you can earn commissions by selling the products rather than having to strive for more recruitments. Though recruitments are important to achieve higher levels but even if you don’t succeed in recruiting others, frequent sales will serve the purpose. You need to keep in mind though that most of the MLM schemes require you to first purchase different products at discounted rates. Suppose, you purchase Product A at 25% discount then you can resell the same product at the original price which means that you’ll earn 25% profit. Is Multi Level Marketing for Everyone? This arguably the most important question. At first sight, commissions and profits do attract people because you only have to spend some time in front of the screen to get started within the business. The ground reality and experiences from the real sellers though suggest that it often doesn’t work anywhere near as smoothly or as easily as it appears to an onlooker. The structure of the scheme is also tricky. It is based on various levels, starting at the top with the team leader. It looks like a tree or pyramid which is reflective of the layers (branches) of new members in multiple levels. Against each sale or recruitment, the commission is basically divided among the team (vertically) from down to the top. You have to sit on top of some members to earn more commission percentage and you can only do it by bringing in more recruiters which is not an easy task. As a beginner, it is quite hard and time-requiring practice. People with good communication and sales skills can anticipate a better return and quick results. But if you don’t have any sales experience then you need to think twice and thrice before finalizing your decision. It may even take months to achieve your first recruitment or sale! Therefore overall, despite Multi Level Marketing being deemed as technically legitimate, as far as I’m concerned it’s just too risky and for that reason I don’t recommend it. Especially not when there are so many better ways to make money online.